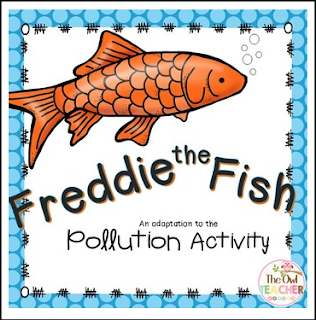 Are you looking for a fun way for students to explore water pollution? In this adapted version of Freddie Fish, students will pour various "pollutants" (household kitchen items representing toxins) in Freddie's river and discuss how he feels. It's the perfect way to get your students understanding pollution! ✓ You can read the cards off or provide students with cards to read. ✓ Then, students will brainstorm what could be done instead that would better benefit Freddie and his environment. This experiment is perfect for tutors, paraprofessionals, volunteers, and substitutes! It is low prep, too! With a fully designed experiment, it comes complete with everything you need! This experiment is perfect if you have to teach about pollution but weren't sure how or are just starting out! This experiment saves you time! Additionally, it's perfect for when you have a substitute! Love what you see? Join many others by being a FOLLOWER!